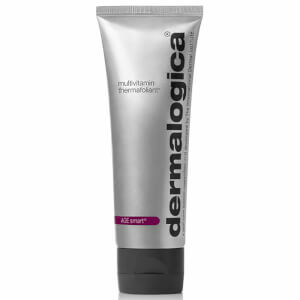 Dermalogica Daily Microfoliant buffs all debris from the skin while feeding the skin with soothing, detoxifying ingredients. This unique, rice-based enzyme powder activates upon contact with water, releasing active ingredients into your skin without a hint of irritation. Ideal for those with sensitive skin. Ideal for those with sensitive skin. 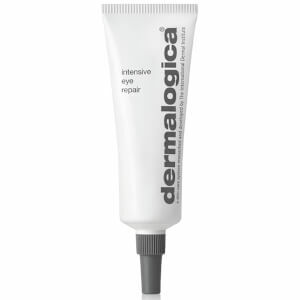 Apply to face in circular motions, using care around the eye area. Massage gently for one minute, then rinse off thoroughly. Rice Enzymes: Loosens dead skin cells that clog pores, gently exfoliates. Salicylic Acid: Purges pores of excess oil. Licorice: Evens out and lightens skin pigmentation. Microcrystalline Cellulose, Magnesium Oxide, Sodium Cocoyl Isethionate, Sodium Lauroyl Glutamate, Colloidal Oatmeal, Disodium Lauryl Sulfosuccinate, Oryza Sativa (Rice) Bran, Oryza Sativa (Rice) Starch, Allantoin, Papain, Salicylic Acid, Ginkgo Biloba Leaf Extract, Camellia Sinensis Leaf Extract, Glycyrrhiza Glabra (Licorice) Root Extract, PCA, Hydrolyzed Wheat Protein, Populus Tremuloides Bark Extract, Cyclodextrin, Lauryl Methacrylate/Glycol Dimethacrylate Crosspolymer, Melaleuca Alternifolia (Tea Tree) Leaf Oil, Limonene, Citrus Grandis (Grapefruit) Peel Oil, and Titanium Dioxide (CI 77891). This is an excellent gentle exfoliating scrub. It leaves your face feeling smooth and seems like you can use it on a daily basis. Makes my skin amazingly clean each time. I use this every day and my skin looks immediately better. No pores. And it feels son good. I have normal /dry skin and I love it. This is by far my favorite facial cleanser. I religiously use it at least once a day and feel it has made a difference in my skin. 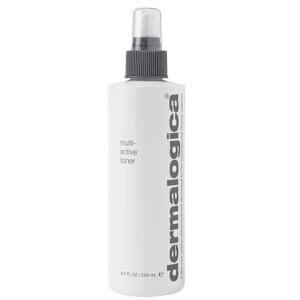 It gently exfoliates and that helps my serums I put on after cleansing absorb better. I have been using this product for a few years now and every time I venture to try something new, I always come back to this because nothing works better. It's super gentle but exfoliates well. It keeps my skin soft and free of breakouts. I highly recommend. I truly love this product. My face feels so clean. Love this cleanser. I have been using it consistently (every day) for a year now and it has slowly changed the texture of my skin. My 50-year-old skin is much brighter, smoother and younger looking since using this and it makes my skin products penetrate the skin better after using it. For me, no cleanser has come close to doing what this has done for my skin! I have facial seborrhea dermatitis and always have flaky skin. This product was recommended to me and it is superb. Easy to use, no stinging or abrasion and helps with flaking. I use it once a day in the morning so flakiness is more controlled when leaving for the day. It gently makes my skin soft. This microfoliant is gentle and effective.